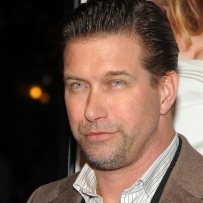 Actor Stephen Baldwin was arrested for alleged state income tax evasion, according to authorities in New York. The New York Daily News reported that Baldwin owes more than $350,000 in back taxes to the Empire State for the years 2008, 2009 and 2010. “At a time when Rockland County and New York State face severe fiscal shortfalls, we cannot afford to allow wealthy residents to break the law by cheating on their taxes,” said Rockland County District Attorney Thomas Zugibe. “The defendant’s repetitive failure to file returns and pay taxes over a period of several years contributes to the sweeping cutbacks and closures in local government and in our schools,” Zugibe said. Tax evasion is a very serious felony accusation. If convicted, or if he pleads guilty, Baldwin could get as much as four years in prison. His arrest followed a lengthy investigation by officials from New York state and Rockland county. For now, though, Baldwin isn’t sitting in a jail cell. He was arraigned in Nyack Justice Court and released on his own recognizance. That means he’ll be able to at least spend the holidays with family, including his famous brothers, actors Alec, Billy and Daniel. Baldwin now has a Feb. 5, 2013 court appearance. Will More Tax and Money Problems Emerge? Unfortunately for Baldwin, I suspect that this state tax issue may just be the tip of the iceberg in terms of his overall tax woes and financial problems. He already filed for bankruptcy protection back in 2009. And if Baldwin didn’t file state tax returns for three years, as legally required, it raises the issue of whether he also neglected to file his federal income tax returns during that time period. Once you file a federal tax return, the IRS usually has three years to audit you. 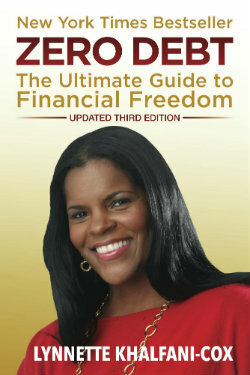 But when you haven’t filed federal taxes at all there’s no statute of limitations on how far back an IRS audit can go. Either way, federal authorities in recent years have been particularly aggressive about going after high-profile actors, singers and other celebrities – from Wesley Snipes and Tony Braxton to Evander Holyfield and Ozzy and Sharon Osbourne – who all allegedly skirted tax laws or failed to pay taxes due. The feds have slapped some celebs with tax liens and pursued others in court. Here’s hoping Stephen Baldwin, of “The Usual Suspects” fame, can work out a deal with the tax man, and clean up his finances. And lest we all jump on the bandwagon, bashing another star who’s run into financial difficulties, here is a list of 5 legitimate reasons why celebrities get into tax trouble. Hint: one of them is relying on so-called “experts” who mismanage a celebrity’s money – or worse – steal from the rich and famous.